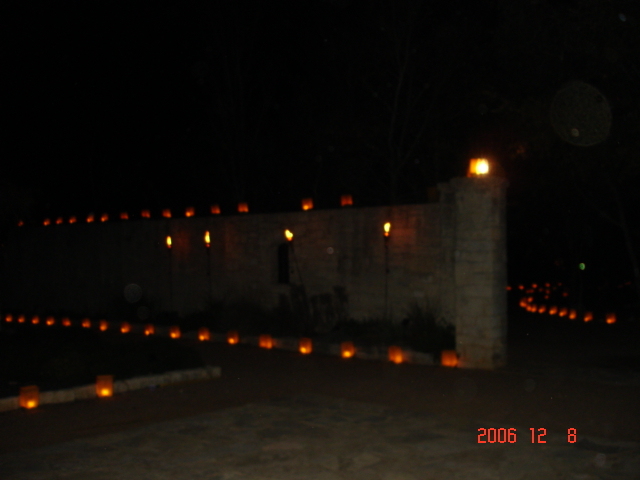 Last night we went to the Lady Bird Johnson Wildflower Center to see the luminaries. It was absolutely beautiful. My in-laws have been to the Center before, however I had not. It was interesting to hear their perspective of the changes that have occurred since the last time they were here over 22 years ago. They were telling me that most or all of the buildings were built since they last visited. Back then, when you went in it was just almost untamed wildflowers and it was amazing. Now they have several buildings and the wildflowers are manicured into garden areas. They had it layed out almost maze like. In the front section they had different examples of how you could set up a garden. It is still amazing. Maybe I can attempt some of this type of gardening once my new house is built. In the second section there was another building that you could go into. 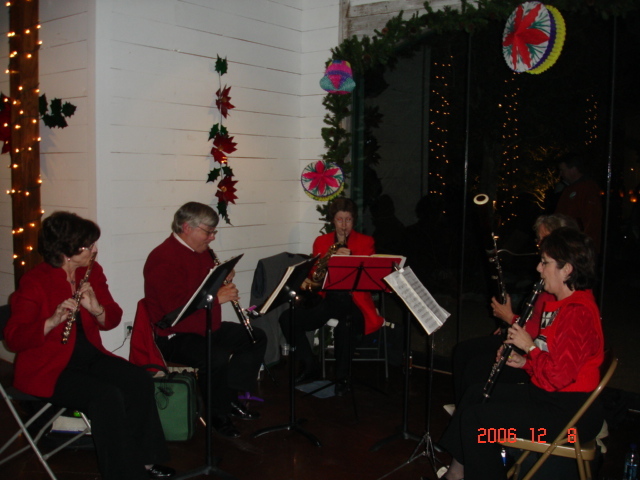 They had several different Christmas trees that were decorated by various organizations. Everyone had the opportunity to vote on their favorite. Surprisingly, my husband took his vote very seriously and tried to talk me into voting with him. However, having my own mind I picked the one I wanted to pick! Since we were there to see the luminaries, it was obviously night time. The center probably had the untamed beauty that my in-laws talked about, however it was too dark to wander too far back into the center. I will definitely have to return! Watch out for all that wild and wooly Austin night life.